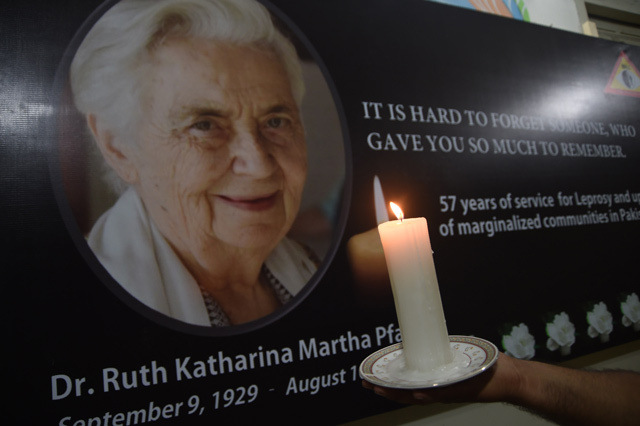 Ruth Pfau, a German nun who devoted her life to combatting leprosy in Pakistan, has died at the age of 87. 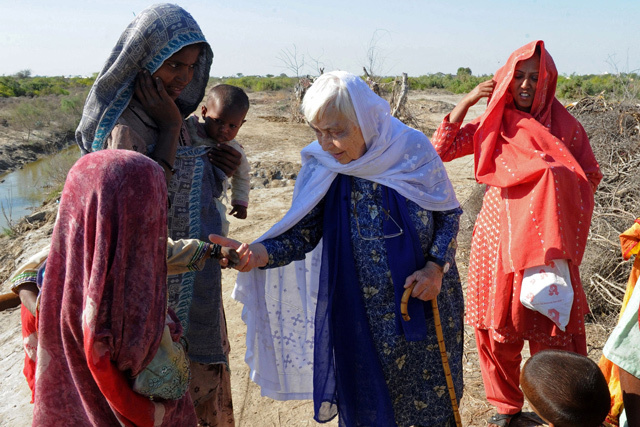 Pfau, who was known locally as Pakistan's Mother Teresa, came to the southern port city of Karachi in 1960 and spent half a century taking care of some of the country's sickest and poorest people. She was the founder of Marie Adelaide Leprosy Centre in Karachi, where she was being cared for at the time of her death after falling ill two weeks ago. Mervyn Lobo, the chief of the centre, told AFP that she died late Wednesday. She is expected to be given a state funeral. Prime Minister Shahid Khaqan Abbasi expressed his sadness over her death, saying "she may have been born in Germany, but her heart was always in Pakistan". In collaboration with the government Pfau expanded leprosy treatment centres in more than 150 cities and towns across Pakistan, training doctors, treating thousands of victims and helping establish a national programme to bring the disease under control. She was honoured by the state with the country's two highest civilian awards, the Hilal-e-Imtiaz and the Hilal-e-Pakistan. It was after the horrors of World War II in her native Germany that Pfau decided to dedicate her life to serving humanity, becoming a doctor and joining the Daughters of the Heart of Mary order, founded during the French Revolution. Not required to take the veil or live in seclusion, she ended up in Pakistan by chance. En route to work in India, visa complications forced her to break the journey in Karachi, where she visited a lepers' colony. "One of the biggest issues of Dr Pfau's spirit was that the religions (worked) together," said Dr Claudia Vilani, an expat colleague of Dr Pfau's. "She believed the biggest religion is humanity." Pfau was also praised for her work in helping victims of devastating flooding in 2010, which left millions of people homeless across swathes of the country.